For Easter I am giving my grandson the Egg-Cellent All-in-One Gift Set from I See Me! This is a personalized Easter Activity Set for him that has his name all through the inside. These customized gift sets are adorable and they are a wonderful addition to children's Easter baskets. Filled with bright colors and easter bunnies, my grandson is going to have a lot of fun with this activity set. 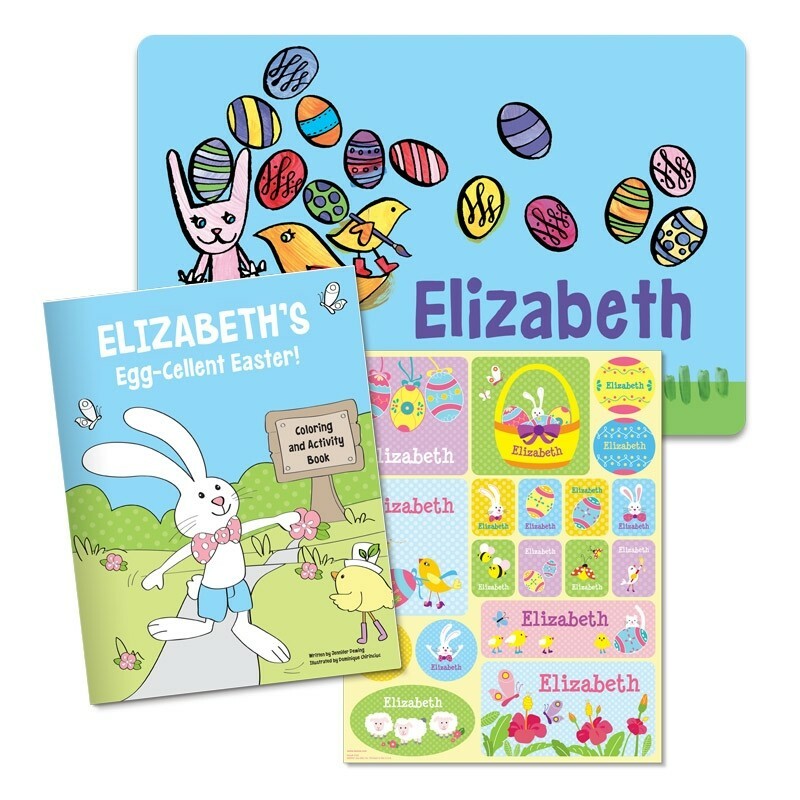 The Egg-Cellent Easter coloring and activity book is a coordinated hand-picked gift set that includes an adorable coloring and activity book with 20 bright colorful pages, a colorful placemat made special with your child's name, and matching page of 18 stickers. My grandson loves the placemat with the bright colorful placemat with his picture on it. He was delighted to see that. 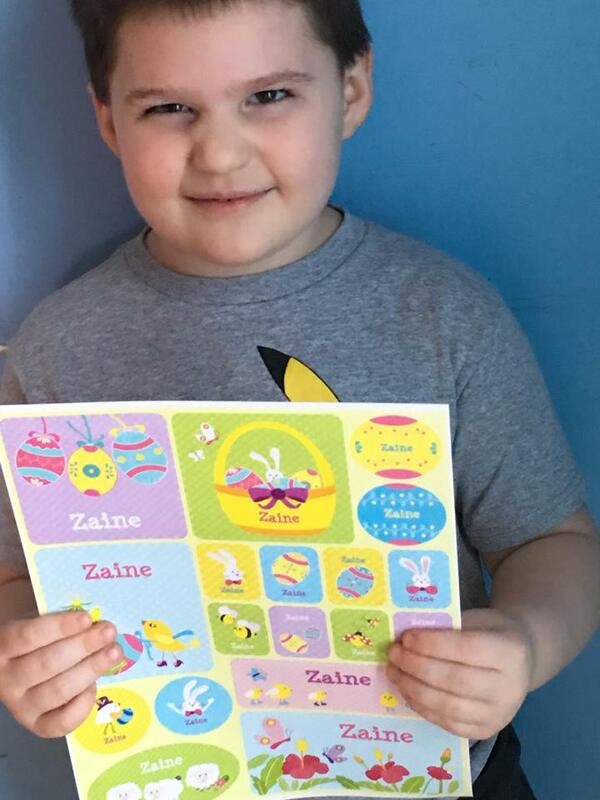 Of course he also enjoyed the 18 stickers that came with this set as well. 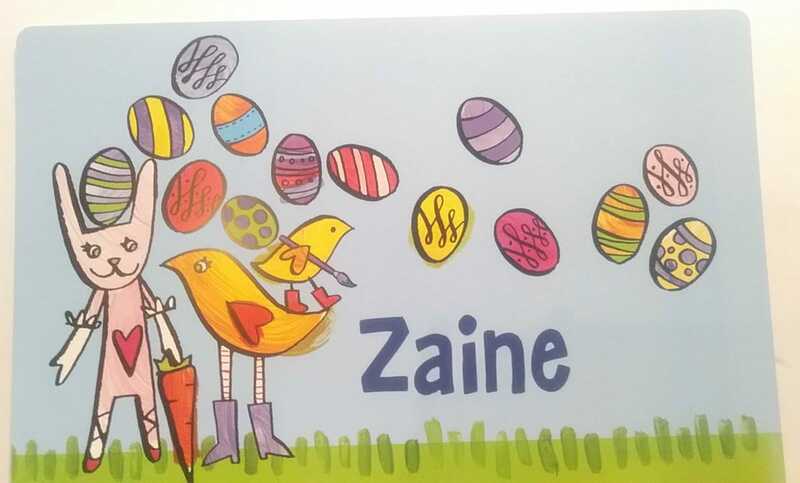 Inside the book there is educational and fun Easter activities such as coloring eggs, finding missing eggs in a hidden picture and much more. My grandson's name is on the cover of the coloring book and throughout the activity pages and illustrations. 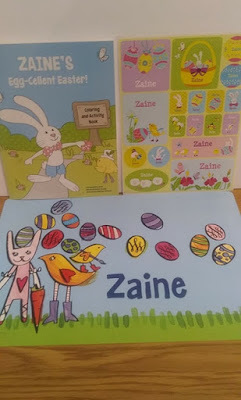 I really like gifting my grandchildren with books and activity books that are personalised. It makes them feel so special to hear and see their name along with a story or other fun activities. I See Me! has affordable prices for adding to your children's book collections. The reading books and activity sets always come filled with bright colorful fun. This would be a fun Easter Gift, Birthday gift or just an anytime gift just because. Love non easter candy gifts, as candy gets OLD and isn't very healthy! What a nifty idea! I might use it! These books are so cute! And my kids get enough sweets. Books are a better gift idea! That is a really cute idea for a small gift for any holiday really. My niece and nephews would like this a lot to have a little activity book. It looks like so much fun! Love the idea! Excellent giveaways for kids. I also bought coloring books as gifts than candies..thanks for giving me ideas! These really would make great non-chocolate gifts for Easter. They look fun and I love how they aim to increase self esteem. 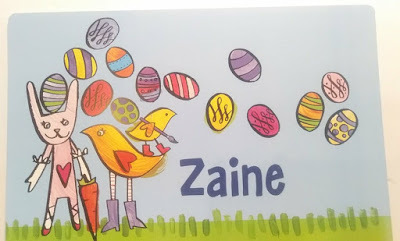 Personalized books are so much fun! I think kids love them because they get to be a part of the story and the adventure. They make great gifts. Absolute perfect idea, my kiddo would love these activity books. Having non candy easter gifts are a wonderful thing. This book inspires creativity and fosters love of books. Looks fantastic! I received a personalized storybook when I was 7, and still pull it out each Christmas. I love the idea of continuing the tradition of personalized holiday books with I See Me. I love the bright colors and love that they have such a great selection and variety for kids. 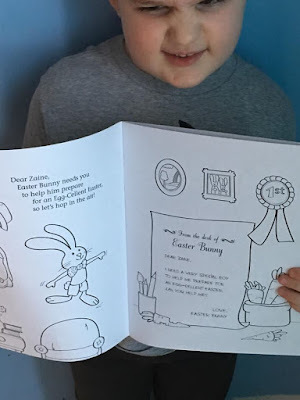 Coloring eggs is definitely fun for Easter but I know my son doesn't like to get messy so he does love coloring them in books. This could be really good for him! These books look great. I am really am trying to avoid loading them up with candy this year. This is a great ideas as I work in a pediatrician clinic and we dont like to give kids candy and parents hate it even more. Great post. Yes! There are so many holidays that revolve around candy. I love thinking of other options besides sugar. Great idea! Glad that companies that make great products for young people can still flourish for 18 years or more. That simply means the ideas do work and they're getting it back. The kids here would definitely love a customized Easter gift like this! It's so much better to prepare an Easter basket that's not filled with candy but stuff that the kids can use to learn or to have fun with! I think these are lovely ideas, books are always a great choice!